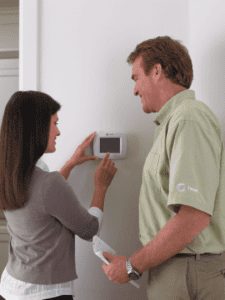 Having heating and cooling that you can depend on to keep you comfortable in your Pilot Point home is important. That’s why Cote’s Mechanical is available around the clock to handle any emergency repairs you may need. Our team can also get you set up with a new HVAC system when needed and perform routine maintenance. Whether you have an aging and inefficient system that needs to be replaced or a broken HVAC system, we’ll be there to help. At Cote’s Mechanical, we provide a free estimate for new installations and free service calls with repairs. We offer heating and cooling services for both residential and commercial customers in and around the Pilot Point area. 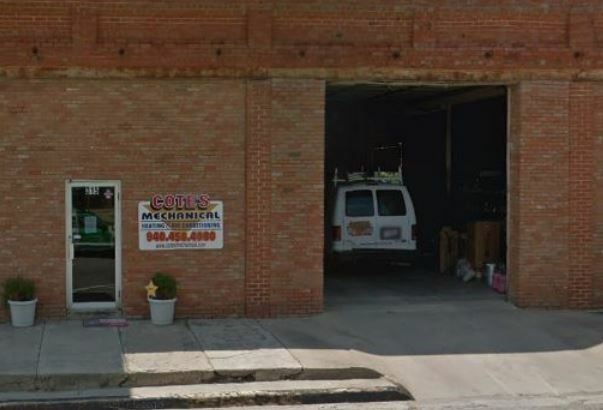 When you turn to Cote’s Mechanical for service, you’ll get help from licensed technicians who have years of experience in the industry. Our team offers air conditioning and heating installation and repair services in the Pilot Point area. We can help you select a new system and install it or come to your home or business to perform repairs right away. We know how important home comfort is at your Pilot Point house. That’s why we also offer routine maintenance to keep your HVAC system in top condition. Our other services, which include ventilation and attic insulation, also help your home remain as comfortable as possible. Did you know that Cote’s Mechanical has been providing the highest quality HVAC services in Pilot Point since 2001? That’s when owners Cote and Kristi Wyatt decided to open a company that area residents and businesses could turn to for all of their heating and cooling needs. Over the years, we have added more employees in order to keep up with our growing business. With over 40 employees at Cote’s Mechanical, we have plenty of technicians available to provide customers with prompt service. Our firm commitment to exceptional customer service has helped us earn recognition from national organizations. The Air Conditioning Contractors of America has also given us accreditation, while Trane has certified our company as a Comfort Specialist. We’re also certified for North American Technician Excellence and have a 2016 Superior Service Award from Angie’s List. Our customers have been spreading the word about what to expect when you hire Cote’s Mechanical for service. They mention technicians who perform high-quality work and always show up on time. In fact, some customers have even mentioned that our technicians showed up early to get a broken HVAC system up and running again. The population of Pilot Point is roughly 4,342. Residents can conveniently get to Denton in 30 minutes, while Fort Worth and Dallas are both about an hour away. The City of Pilot Point has something for everyone, including outdoor recreation, cultural attractions, and great places to eat. Head to Ray Roberts Lake State Park for fishing, boating, camping, hiking, and other outdoor activities, or see live plays and other performances at Pilot Point Community Opera House. Visit Sharkarosa Wildlife Ranch to see exotic animal species and learn more about them. Order a gourmet pizza at Bear’s Den, dine on NY-style Italian food at family-owned Nick’s Italian or have some spicy Cajun and Creole dishes at Angenetta’s Louisiana Kitchen and Bar-B-Que. Pilot Point offers a number of volunteer opportunities for those who wish to volunteer. Some of these include the Museum Advisory Board, Historic Review Board, Main Street Advisory Board, and Parks and Recreation Board. Residents can also find volunteer opportunities available with the Fire Department and Keep Pilot Point Beautiful Board. If you’re looking for HVAC service in the Pilot Point area, contact Cote’s Mechanical today. We have a team of experienced professional technicians available to provide you with heating and cooling repairs, installation, and other services. We offer HVAC services for both residential and commercial customers in the Pilot Point area, so don’t hesitate to give us a call. Great service, Bill was very perfeddiknal and i felt he was honest. Great service, very knowledgeable,extremely efficient. Courteous and right on time! Have used Cote’s several times—always a great experience. Service personnel always friendly and explanatory. So helpful!! My always go to!!!! Craig went above and beyond!!! Thank you!!! !